Becoming Abigail is the story of Abigail whose mother died during her birth, her father who couldn't bear the loss of his wife falls into depression. During one of his melancholic sadness he accepts that Abigail would go with her cousin Mary and her husband to the UK as a way of making sure she gets a brighter future. Unfortunately, a brighter future is not what awaits Abigail in England, instead she is exploited and dehumanised and as a result finds herself in the throes of death, her ability to survive would determine her fate. is a sorrowful narrative poetically written. It is that kind of book you'd always want to go back to in spite of its tragedy due to its poetic characteristic and the power of its words. 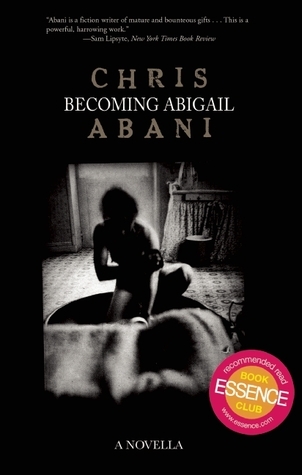 I discovered Abani through his work Graceland also with a tinge of sorrow however it is not short of exceptional. Ije Uwa. Destiny isn't a deck of cards stacked up against you. It is the particular idiosyncrasies of the player, not the deck or the dealer, that hold the key. Sounds like a good read. I'll check it out. Thanks for the review. Yahh you should try Chris Abani he is a genius of a writer. I recommend Grace Land too.